Well, technically, I’m here already, but the festival doesn’t begin until tomorrow. I arrived around 2:00pm this afternoon after a nearly 24-hour travel odyssey (or more accurately, ordeal) that involved three flights and lots of dragging my luggage to distant terminals. I’d spent the last couple of days after Sundance relaxing in Los Angeles with my friend, film composer and rock star Carla Patullo (White Widow) and her partner Elizabeth. They graciously allowed me to sleep on their couch and do laundry (and I had a LOT of laundry). I also ventured out to the Silver Lake area of LA to get my hair cut at a funky little record shop called Sick City Records. Yes, in addition to cool vinyl and vintage rock t-shirts, they had a barber chair and I got to talk to Franky about PJ Harvey, Savages, and our favourite new bands while he snipped away. 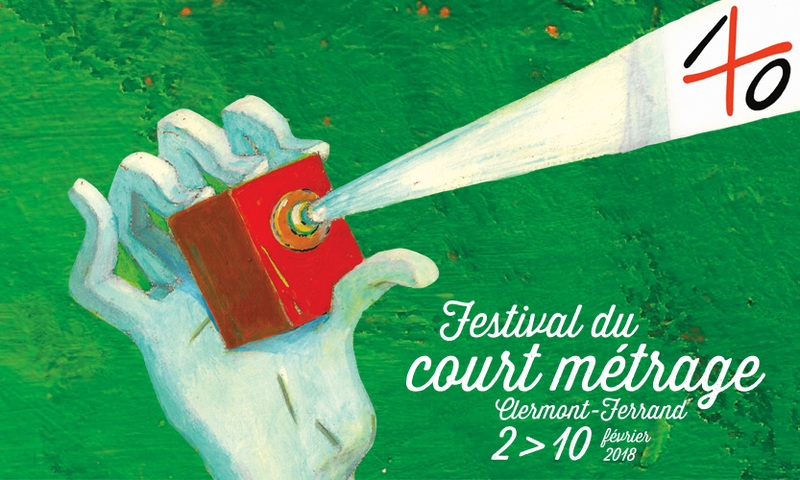 I’m glad to be back in Clermont-Ferrand, and I think this time I’ll be able to approach the festival with a bit more confidence. By a stroke of luck, my friend Caitlin Mayberry introduced me to a young man named Ilias who was working with her at Sundance this year. He just so happens to live and study here, and today not only did he arrange to pick me up at the airport, but he loaned me a SIM card so I can use my phone while I’m here. He’ll be volunteering with the festival, too, and it means a lot to have someone bilingual who can help me navigate the festival and the city, too. I’m also staying at a really wonderful apartment. I’d originally booked it through AirBnB but about a week ago they abruptly refunded me saying the host hadn’t submitted some verification. Luckily, both Delphine and I had printed out the reservation since it completely disappeared from the AirBnB site. She got in touch and offered to honour the reservation and I happily agreed. It’s a gorgeous room in the apartment she shares with her daughters, and it overlooks the Place de la Victoire, right next to the Cathédrale Notre-Dame-de-l’Assomption. In fact, it’s quite close to where I stayed in 2014, and that means it’s near two of my favourite restaurants from last time, Avenue and the creperie Le menhir. It’s also a pleasant 15 minute walk to the Maison de la Culture, where nearly all of my screenings will be held. So far, I haven’t had a lot of time to check out the festival programme. Immediately after checking into my room, I slept for three hours! Then I took a short walk around the neighbourhood and bought a few groceries. Tomorrow, I’ll pick up my catalogue and credential and do a bit of research. Hoping to meet up with some of the people I’ve met over the past few years in the short film world. At least Danny Lennon from Prends ça court! has promised me he’ll take me out more this time. Back in 2014, we didn’t meet until quite late in the festival, and I felt like I missed out on a lot of socializing. Hoping for a different outcome this time!